Die Massage ist eine Mischung aus traditioneller Thai-Massage und Öl-Massage. Durch sanftere und großflächigere Massagetechnik wird bewirkt, dass die während der Massage eingesetzten ätherischen Öle in den Körper einwirken. Dadurch wird eine entspannende Wirkung auf die Muskulatur erzielt. Die stimulierende Wirkung der Öl-Aromen auf die Sinne steigert während der Massage den Entspannungs- und Erfrischungseffekt. 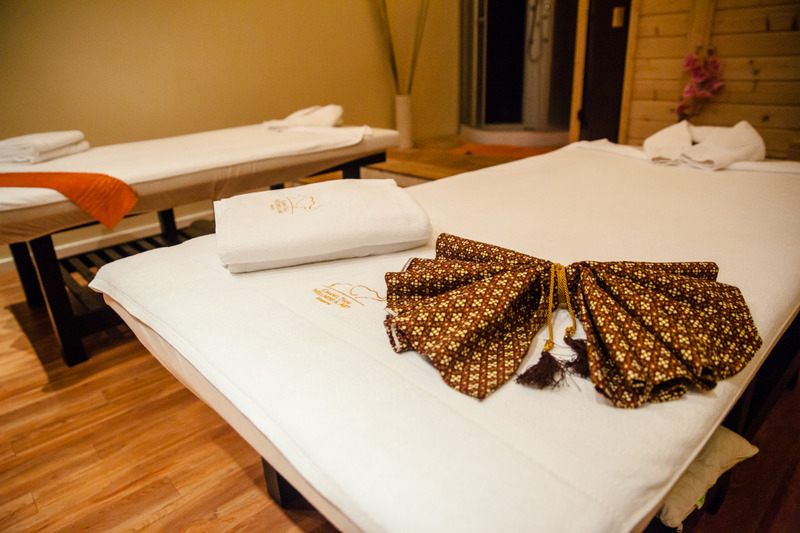 This Thai Oil Traditional massage is a slower compress massage with essential oil which similar to Sport Massage. It is a method of massage that reach into the deeper part that stroking massage does not reach. The benefits of this Thai Oil Massage are pretty similar with Thai Massage but it is a deeper massage which really penetrate your body. It gives more relaxing sensations. Also helps with headaches, insomnia, muscle stiffness, poor posture, tiredness, anxiety, stress, muscular tension and pain. This will give you an opportunity to relax and let go of all your worldly concern. This will make you feel more energised. It also clear you’re your mind and calm your emotion. We would recommend 2 hours for this method of massage to get the best benefits.